Nothing thrills me more than the chance to print on a coloured stock - in this case a beautiful warm grey. 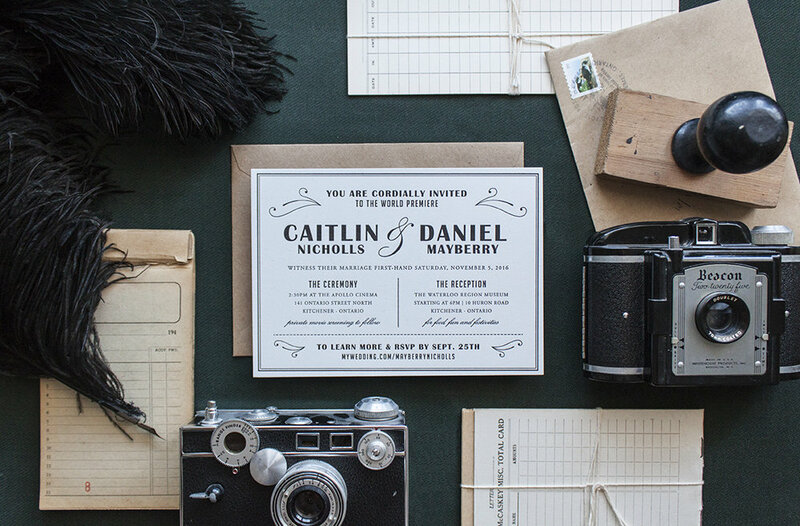 These vintage cinema invitations set the tone for Caitlin and Daniel's film themed wedding (which included a cinema screening of the Princess Bride!). 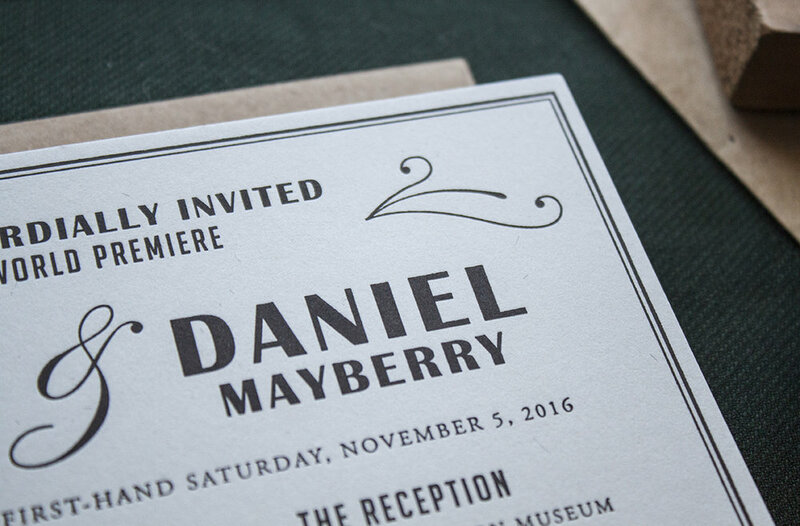 Black letterpress on grey card is not only classy and sophisticated - it's timeless. 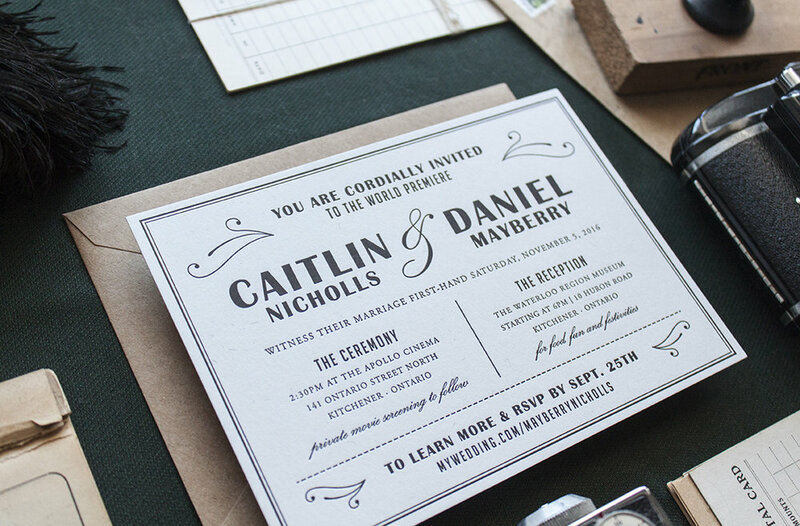 Paired with a kraft, black or, the official choice, teal envelope and you've got a simply stunning introduction to the big day.